This camera is a long wave, Focal Plane Array camera that is not capable of temperature measurement. 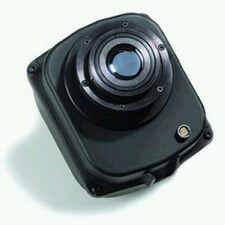 This camera is best suited for Research and Development, Industrial, and Medical Applications. The camera requires power in and video out. These units are used infrared cameras. These units are used thermal cameras.